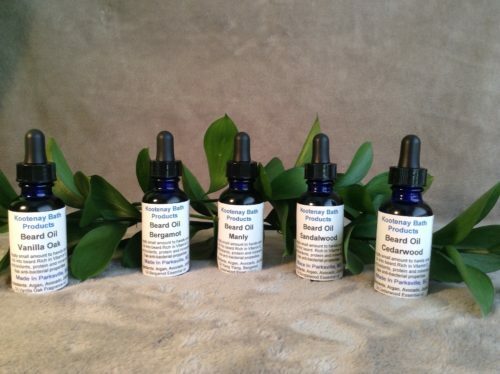 With the combination of oils that I use the beard oil’s are rich in vitamin E, antioxidants, protein and minerals and has antibacterial properties. Argan, jojoba And avocado oil’s help repair split ends soften the hair follicles and act as antibacterial fights dandruff, stimulate hair growth, prevents premature greying too. Wow even the ladies can use it on their hair as a repair and extra shine. Purchase from my website, or via email. I started this company 12 years ago in the kootenays and have moved to Vancouver island but have kept my name. I make affordable products which are natural, safe for everyone in the family including children and babies.